Had to make this. It was Sunday, and my birthday, and I wanted to stay in my pajamas. W and I saw this on Instagram and had to make one. 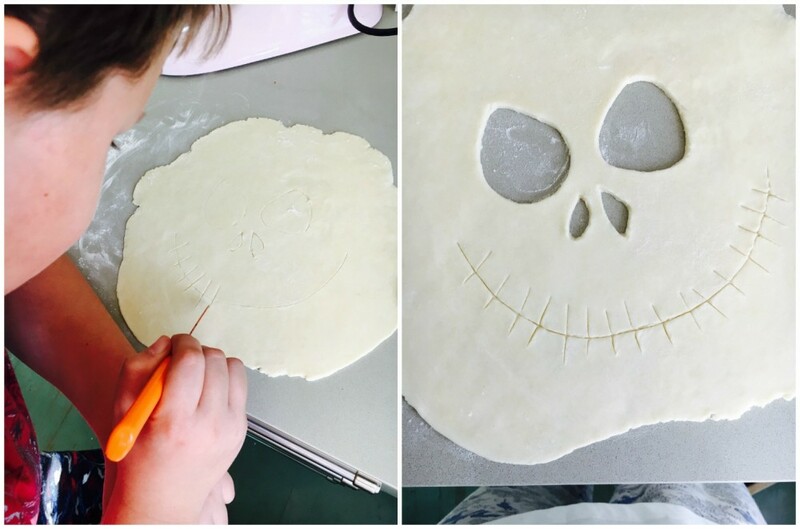 We put on some Bowie and did some baking. Beats scooping guck out of a pumpkin. We had blueberries and saskatoons in the freezer – perfect for dark, brooding eyes. Other than that, it was just a matter of cutting the face with the tip of a knife. I made an uncooked filling, but find that it can wind up tasting starchy – next time I’d cook the filling first, stirring in some fresh blueberries for little pops of juice. 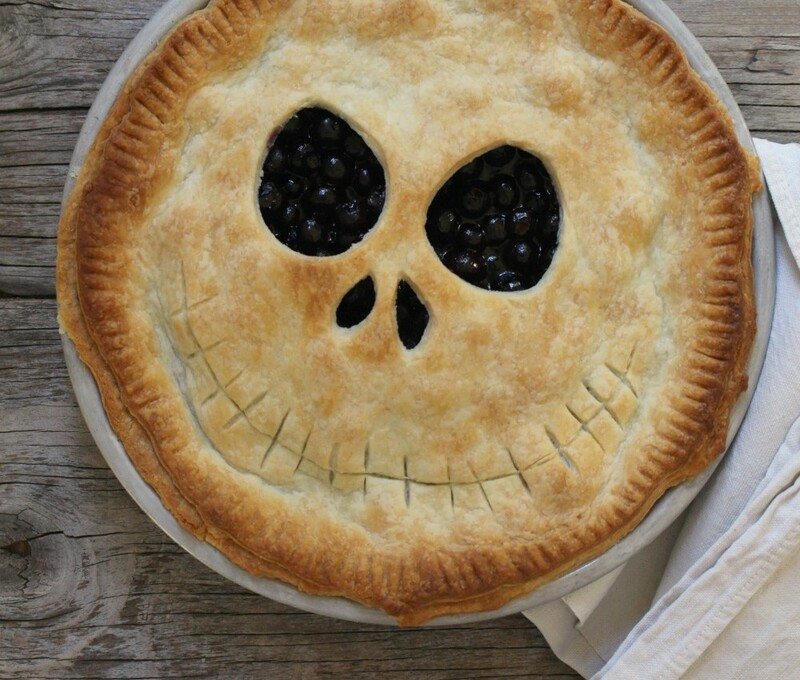 Any dark pie filling would work. How much fun is this? 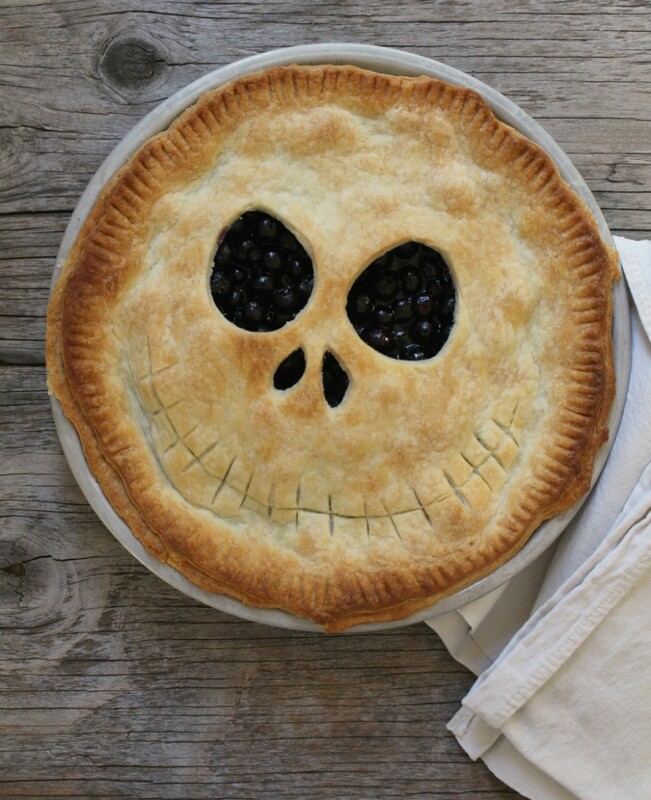 Our new traditional Halloween dinner dessert, after Meat Hand. Happy birthday! 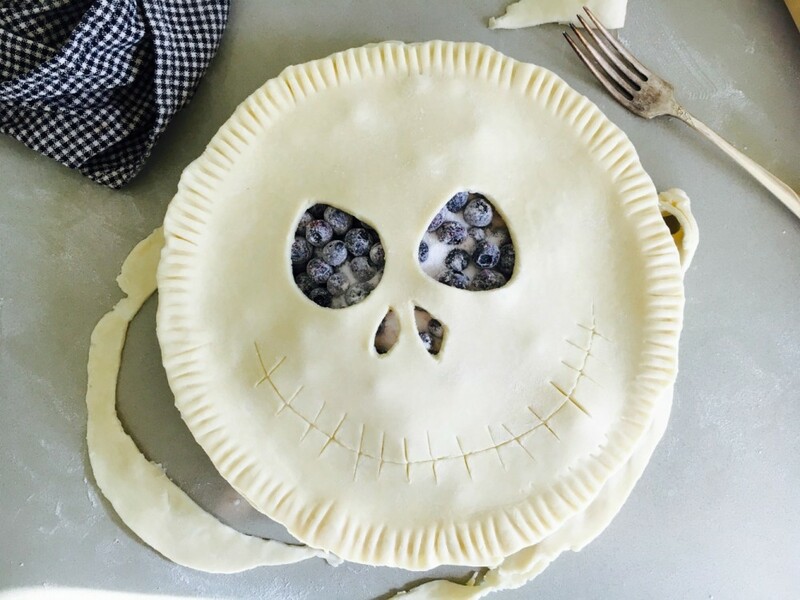 Your pie looks awesome. Could you tell me what size pie pan you used? Just a standard pie plate! 9 inches, I believe. Not deep dish.